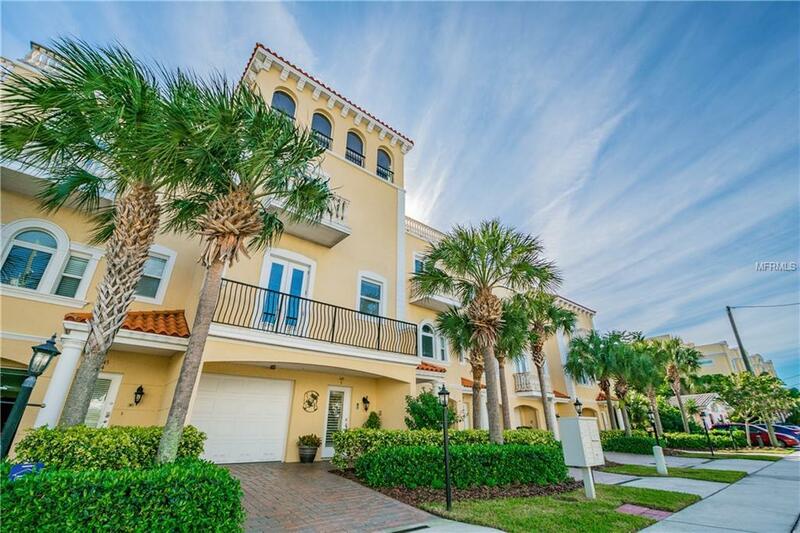 Penthouse waterfront luxury townhome! 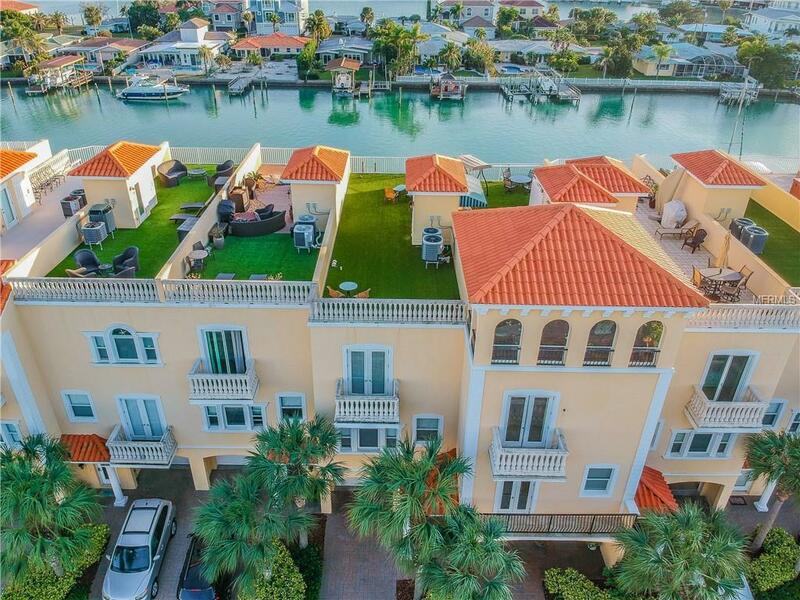 This gorgeous, Mediterranean four-story home is a tropical dream with an oversized deeded boat slip with access to the Intracoastal Waterway and open Gulf and sits just blocks away from one of the most beautiful beaches in the country: Clearwater Beach. 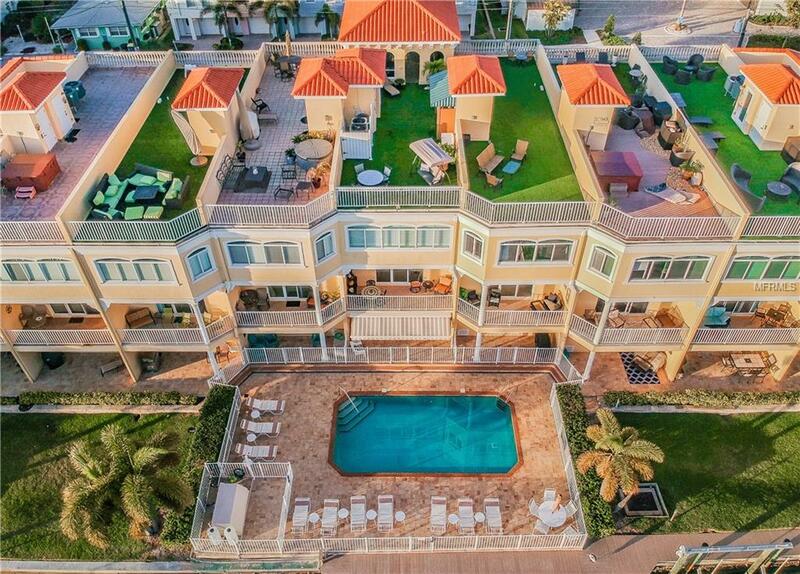 Relax and watch the sunset from the extravagant 4th-floor rooftop retreat boasting endless upgrades including a built-in, high-end Viking outdoor kitchen and a one-of-a-kind living area above all the other units with panoramic water views. This three bedroom, four bath masterpiece is the largest/widest unit in the community and features a private elevator, two front balconies, one rear-facing covered balcony, garage with full bath, gym, workshop area, and extended covered back patio access opening to the southern-exposure community pool and water views. The upgraded kitchen with brand new, elite stainless steel appliances and dark granite island overlook the spacious living room and rear balcony. Interior upgrades include a spiral staircase leading to the rooftop space, crown molding throughout, natural stone backsplash, integrated audio, custom sliding plantation shutters, and stunning white wainscoting staircase entryway. 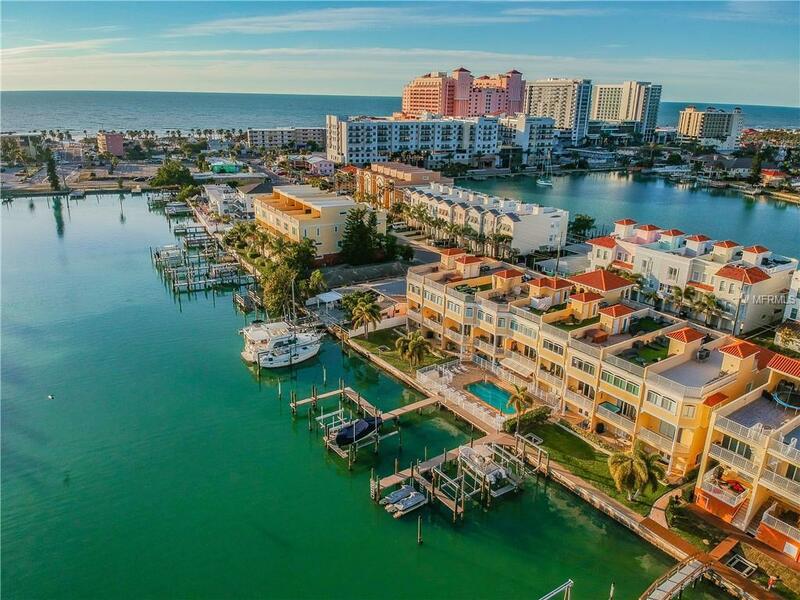 Paradise Cove is a deed-restricted community showcasing just nine total townhomes, all of which are board-approved to rent on a weekly basis offering a lucrative investment year-round, all located within walking distance to Clearwater Beach which was rated as the top beach in the US in 2018.